February 26, 1953: 17 Catholics meet at the home of Mr. and Mrs. John Prangley on Port Sheldon Road to prepare letter to Grand Rapids Bishop Francis J. Haas requesting a new parish in the Grandville area. At the time it was noted there were 110 Catholic families in area. March 14, 1953: Delegation meets with bishop who gives approval. March 29, 1953 (Passion Sunday): First Mass is celebrated at Grand Theater. July 1953: Parish borrows $10,000 from the Diocese of Grand Rapids to purchase eight and a half acres of land on the corner of 40th and Wilson. August 1953: The death of Bishop Haas stalls the development of the new parish. 1954: Masses move to East Elementary School. May 29, 1954: Pope Pius X was beatified Saint Pius X. March 7, 1955: Bishop Allen J. Babcock issues “decree of erection” making the Catholic Community of Grandville officially the new St. Pius X Parish. 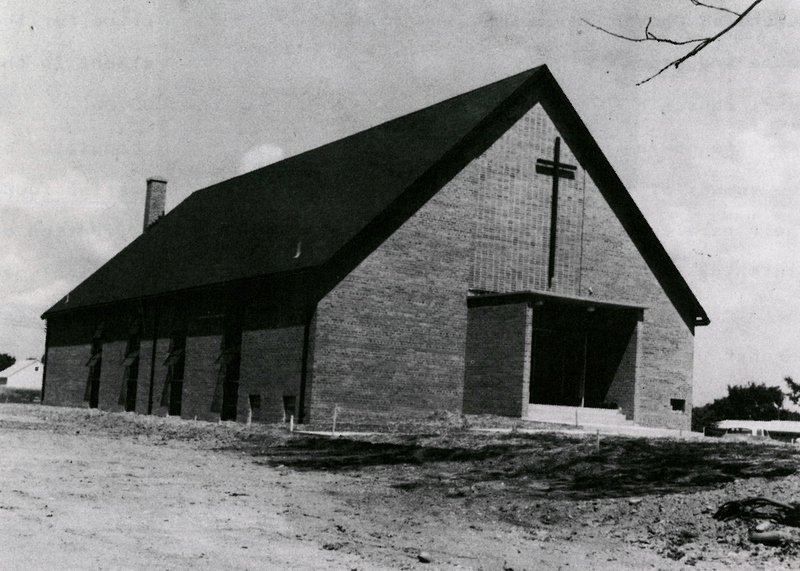 Aug. 15, 1956: The first Mass in its first church is celebrated.